In research and innovation projects, the economic, societal, ethical and legal aspects are often not considered assuming that it somehow will be taken into account at a later stage. To consider and integrate these aspects already early in the development process however is not only important for increasing technological uptake and societal embedding, but it is also useful for enriching and directing your own research. Additionally, the alignment of scientific and technological advances with values, needs and expectations of society is stimulated in various research programs – often under the phrase of Responsible Research and Innovation (RRI). Society and ethics - a concern for researchers? While societal and ethical considerations are often not explicitly addressed during research practices or during educational activities, science and technology still claim to address the grand challenges. What are the experiences of researchers and students to consider societal and ethical aspects in their research and during education? Why should it be their concern? Have a look at the video! Why is this 'toolbox' suitable for me? If you are interested to look at societal and ethical aspects in your research this 'toolbox' is a good starting point. It provides an overview and description of several approaches that support you to consider economic, societal, ethical and legal aspects in technical research projects. The ‘toolbox’ aims at everyone who is interested to learn about such socio-technical integration approaches and who wants to integrate them in their work; this can for instance be a PhD researcher or PostDoc, or a Bachelor or Master student focusing on a particular project or technology; or a senior researcher exploring the potential of a new research field. The tools have been selected because of their suitability to be integrated in labfloor practices and range from desk-top analyses to highly interactive settings such as a workshop. The actor analysis for example helps you to picture relevant persons or parties that directly or indirectly influence the innovation you are working on – or may who be affected by it. To know who is involved gives you a clue about who might be a supportive partner or what the innovation may imply for different groups of people. A workshop on the other hand is a good opportunity to extend your network, find possible collaborators and get different perspectives and insights on the topic you are working on. Although each tool has a different focus, they all help you to get a better understanding of the broader context of your research, and to be aware of possible challenges which allows you to adjust your research accordingly. The ‘toolbox’ provides practical hints for the implementation of the described approaches and additionally aims to stimulate discussion between technical and social scientists for in-depth information and potential collaborations. This page is thus a starting point to get (practical) information about methods integrating economic, societal, ethical and legal aspects in technical research projects. Additional tools are available elsewhere (e.g., RRI-tools or pathways methods). We would also like to stress that the suggested tools are meant to help you to pose the right questions, to identify relevant aspects, and to do a first-round analysis. We do not claim they are able to substitute more thourough analyses. CTA stands for Constructive Technology Assessment. Constructive technology assessment describes a particular form of technology assessment where challenges and uses of new technologies and innovations are anticipated and the results of the analysis are fed back into the ongoing development, implementation and societal embedding of an innovation. The overall ambition is to broaden technology development and implementation by including a broad range of aspects and actors. CTA plays an important role early in the development process. Therefore, tools applied in the field of CTA are especially suitable for research projects which are often at the beginning of the innovation process. Which tool fits my project? The overview below contains a short description and key characteristics of each tool which support you to find the most suitable tools for you. The short description gives you a clue for what the tool can be used. 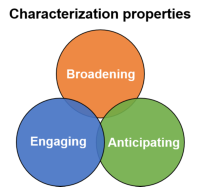 The characteristics describe graphically for which project phase the tool is most suitable and what are the main properties. 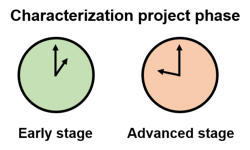 The project phase is distinguished between (1) early stage, when some technical details or applications are still unclear and when an idea of the bigger picture is valuable; or (2) the advanced stage, when more is known about the technology and potential applications, and more specific questions can be asked. Furthermore, the tools are distinguished in terms of their properties, whether (i) they are broadening the scope of the research, (ii) they are anticipating and help to look at future developments and impacts, or (iii) whether they are engaging and stimulate the involvement of various stakeholders. For example, the socio-technical configuration can be applied in the beginning of the project if an application is already envisioned, to understand what is needed for a technology to work, and to anticipate the impacts of a new technology on an existing system and vice versa. When you click on a tool in the table below, you will find some background information on this particular tool, practical considerations such as required time and materials, involved participants, and hints for the implementation of the tool. Examples of how this tool has been applied to a technical research project in the past are also available and described shortly. Additionally, relevant literature and useful web links are provided. The time that is indicated for each tool is a guideline and can vary, depending on the depths of the activity. For example, the content and depths can be broadened by involving external perspectives (from industrial partners, NGOs or regulatory agencies) or by teaming up with researchers of the ethical or social science department in your university. 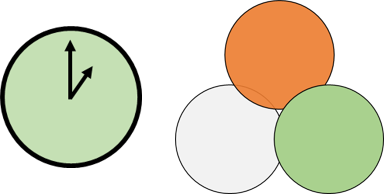 Additionally, more time may be required if various tools are combined, for example when applying the multi-path mapping approach during a workshop. This tool gives you an idea what is needed for this technology to work in practice (infrastructure, regulations, etc.) and which changes the technology may induce in its socio-technical context. which technological aspects (materials, fabrication processes, etc.) can lead to which products and markets. This tool is also suitable for projects with no clear application perspective yet. This tool gives insights in possible technical, economic, legal or social obstacles along the value chain and their influence on technological developments. This analysis provides an overview of stakeholders who can directly or indirectly influence the technological development. Scenarios are constructed future worlds extrapolated from the present and give an idea which societal/moral changes can affect technological development or which impact a technology could have on society in the future. In a workshop, stakeholders with different backgrounds are brought together to discuss potential challenges around technological development, commercialization or societal embedding. This setting is also suitable for networking.